Emission of a polychrom light, which is captured at different levels and intensities depending on settings. Medical IPL (intense pulsed light) is a powerful and fast means to obtain lasting hair removal. Hair follicules are destroyed progressively. Treatment is fast, easy and painless, save for some areas a little more sensitive than others (bikini for instance). Due to the refrigerated crystal of our machine, burns and pain are extremely infrequent. Depending on skin type and areas, 6 to 8 sessions are usually required (3-4 weeks apart) for best results. The light is absorbed by the melanin contained in hair follicles which are then "heated" up and deactivated. 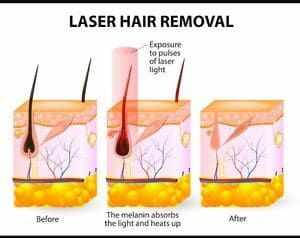 Light affects only growing follicles, which is why we must do several sessions to access all follicles in a growth condition. Treatment is particularly efficient for dark hair on light skin. If hair is very fine, and very light, results are less satisfactory. IPL Hair Removal treatment is never undertaken in Summer (sun exposure banned), is not painful and does not cause downtime. Once all necessary sessions have been carried out, in principle no hair growth is to be expected. However, although rare, some isolated hair may grow after a few years due to aging and hormonal mechanisms, which can be dealt with by an additional local IPL treatment. 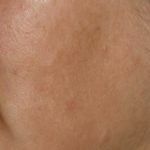 Any area of the body and face can be treated by medical IPL. 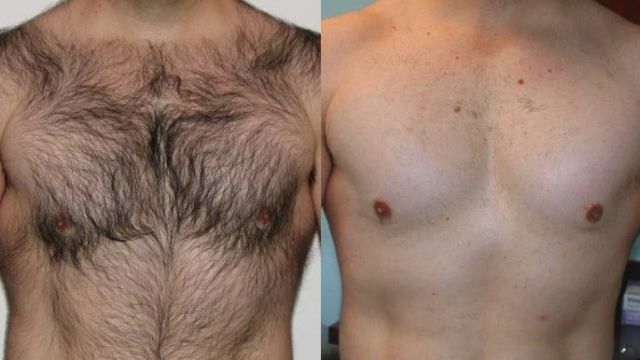 The technique being progressive, it is also quite possible to simply reduce hair density in a given spot without eliminating it completely (torso, arms, hands for instance). Medical IPL (Intense Pulsed Light) prompts a rejuvenation of the skin. This is a sustainable and effective medical treatment, which boosts the production of collagen. Fine lines are smoothed, skin is plumped and face is toned. It also helps even out skin tone, reducing pigmentation spots and blotches. Ideally, we will treat the entire face, but also the neck and chest, not to mention hands, for an overall harmonious and very natural result. Delay and prevent skin aging and photodamage. One session provides a simple "beauty boost", but a lasting results can achieved if carried out in 5-7 sessions at 4 week intervals. Treatment is well tolerated, as it is not painful and causes no important side effects, but should never be done in summer (sun exposure banned during the whole treatment). It is possible to feel that skin feels a little warm and/or dry after the session, sometimes even a little redness (as after a light sunburn) but unless the skin is very dark or there has been recent sun exposure, this should not become severe. In case of sun exposure, the risk of burns is significantly increased. If sun exposure is planned or has occurred recently, we simply interrupt our sessions until tan has disappeared and sun exposure is no longer a threat. IPL treatments do not cause downtime. Makeup is authorized immediately after the session, as superficial skin is not bruised nor harmed by this treatment (non abrasive). 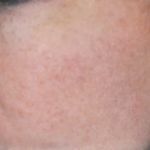 Suspect skin lesions, photo-sensitive medication and sun exposure are formal contraindications to LPI treatments. IPL is not indicated in case of prior treament or illness which could interfere with the skin’s photosensitivity. What is an IPL session like? Intense Pulsed Light (IPL) treatments take between 20 and 60 minutes. During the whole session, you are lying down comfortably. Makeup is removed and eyes are protected (medical laser protective goggles), since the light is quite powerful. 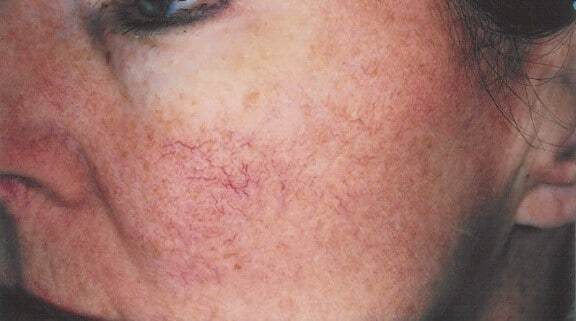 The laser technician adjusts the IPL machine corresponding to your skin type and the purpose of the treament (hair removal, rosacea, pigmented lesions, facial rejuvenation and skin tightening, etc. ), as determined by Dr Roux during the initial consultation. First a few test flashes to ensure your wellbeing and appropriate skin reaction, then the session can really start. Some light may be percieved during the teatment, especially in the upper half of the face, but with no risk for your eyes. 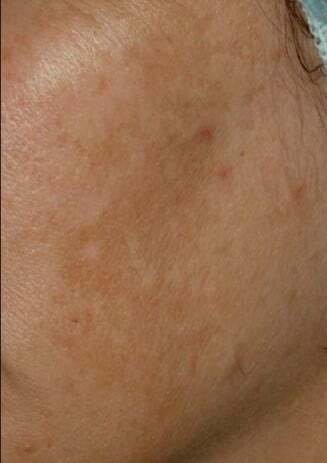 The number of pulses or « flashes » depends on the area and the purpose of treatment. 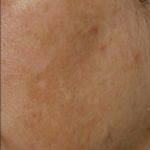 With a medical-level IPL of excellent quality such as ours, results are both satisfying and fast, as opposed to any of the lower grade IPLs found on the market, accessible to non-medical professionals (beauty parlors, aestheticians) which have much less power and require numerous sessions for a mild result, and which end up costing more than a medical treatment, due to the sheer number of sessions required. During the flash, the light is caught by either the melanin (pigment), hair or hemoglobin (blood vessel). Resulting thermic effect degrades the cells and rids you of the problem aimed at. Fibroblast stimulation increases collagen synthesis and the « heating » of collagen rehydrates it. However, this heat is not a problem, as the IPL goes through a cristal kept cold by a powerful ventilation system. The coolness of the cristal ensures your skin is never burned and that the power of the IPL is limited to the intended cells only. The overall feeling is pleasant, perhaps a light tingling sensation at the most, for a short period of time. At the end of the session, it is authorised to hydrate and make-up if so wished. There is no damage to the skin, and one can resume all usual activities immediately. Only sun exposure is prohibited during the treamtent. 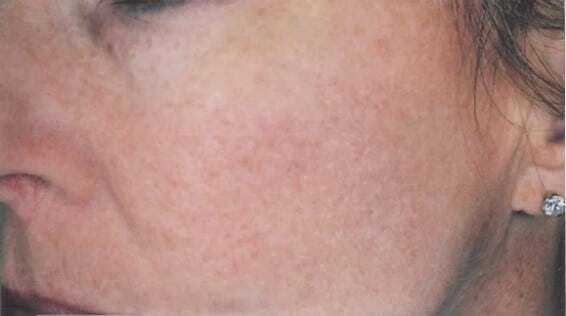 In the days following each session, pigmented lesions will darken a little, then diminish significantly. The size of visible blood vessels will simply be reduced, and deep hydration will increase significantly after each treatment. 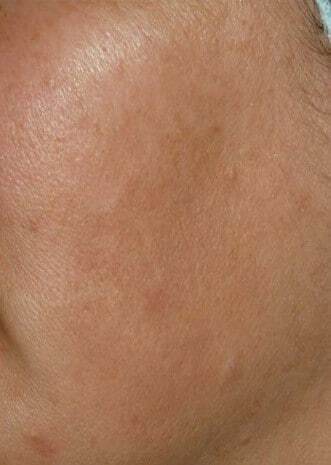 The first photorejuvenation session provides a definite skin radiance (pores are refined, skin looks better). For lasting results (stimulate collagen, erase pigments or superficial vessels), 5 sessions are necessary, one month apart. Complete hair removal usually takes 8 sessions. Results are long-lasting. Vessels and pigments treated do not come back. Later in life, new pigments, vessels or wrinkles may appear (which would have come later anyhow) which can then be treated as needed. In some cases, we may recommend to have one session every one or two years to maintain results and keep in check new lesions. 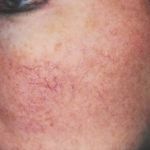 Since sun is a contraindication for IPL treatments, and sessions are 4-6 weeks apart, it is preferable to start such a treatment in the Fall, ending late Spring. To repair the current year’s sun exposure and keep new lesions under control, you can plan one session each year after Summer. Peelings and Mesotherapy are interesting supplements to an IPL treatment, as they provide superficial skin renewal and intense cellular nourishment.